Philippine Airlines Promo 2019 - 2020: Free Flights from Philippine Airlines this Independence Day! Free Flights from Philippine Airlines this Independence Day! 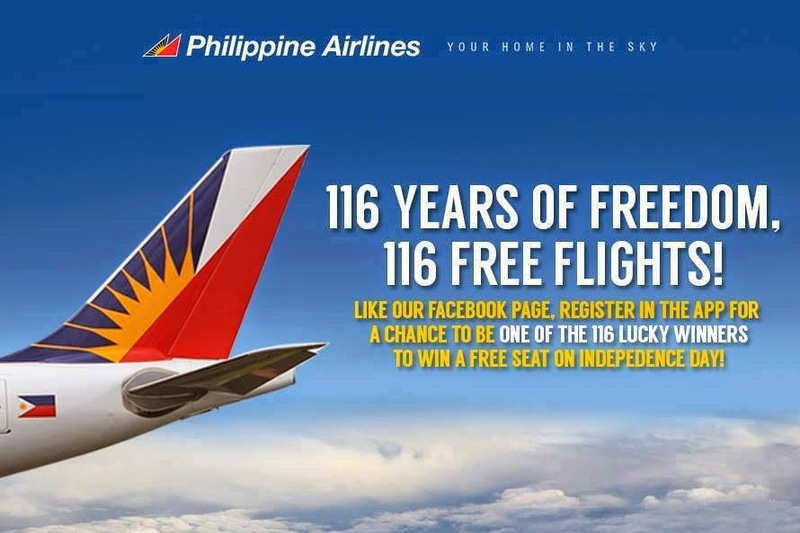 Philippine Airlines Promo: 116 free international and domestic flights on the 116th Independence Day! anu po ung promo code? till when is the validity! i feel that with PAL i am in safe hands....been a client sinc my younger days....Godbless PAL! Philippine airlines is one of my preferred airlines. The quality of its services and on flight staff are really admirable. The flight used by Philippine airlines are highly advanced aircrafts known for their efficiency. I have registered with your App and really want to win contest. A free trip would be really amazing.